Domestic violence (DV) matters are the most severe and traumatic area that a family law attorney can handle as part of their practice. Some family attorneys refuse to take DV matters because of this reason. DV victims and perpetrators come in many shapes and sizes, although the majority of victims are women in a relationship, either married or unmarried. New Jersey reports an average of 70,000 reported cases of DV each year, but the vast majority of abuses go unreported. However, the #MeToo movement has brought about increased attention to DV abuse in the past year, which can lead to further awareness and positive change. 1. What is Domestic Violence Abuse? New Jersey has one of the toughest DV laws in the country in the Prevention of Domestic Violence Act of 1991, identifying 14 different types of abuse. The purpose of this law was to provide victims of DV “the maximum protection from abuse the law can provide.” DV is a pattern of abusive and controlling behavior injurious to its victims. DV can take on many forms, including but not limited to, (1) homicide, (2) assault, (3) terroristic threats, (4) sexual assault, and (5) harassment. Abuse can come in many forms. The most prominent is physical/emotional fear of your partner and fear that he/she is constantly watching and monitoring your every move. Abuse is also about control. Thus, if your partner is always looking to control your life, who you see, speak with, and where you go, you should tell someone you trust and look into getting professional help. People who are being abused need help. You have the right to be free from abuse and feel safe. The National Abuse Hotline is a 24/7 hotline staffed by professional counselors and therapists who are trained in helping victims get immediate assistance. If you find yourself or your children in imminent danger, your first call is always 911. Your second call should be to a trusted friend or counselor to begin the process of disentangling yourself from the toxic relationship. Most towns and cities in populated areas have designated safe-houses for battered women or victims of abuse. Family violence consultants and counselors associated with thousands of not-for-profit centers can assist you to design a safety plan in the event of a DV incident. Similar to a “go-bag” or “bug-out bag” expectant mothers keep within arm’s reach; abuse victims should consider keeping an emergency bag ready and hidden should your partner become violent and you must leave your home in a hurry. Also, have a safe place ready in advance, whether it’s a local safe shelter or a trusted friend or relative’s home. New Jersey is a “one-party consent” recording state. This means that only one party (the victim) needs to be aware that a conversation is being recorded. Recorded conversations of abuse are hard to dispute in court and can be powerful tools for change. In New Jersey, a Temporary Restraining Order (TRO) can be ordered upon a finding of good cause to believe that the applicant is potentially in danger. 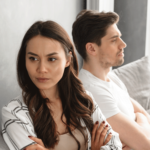 The order forbids the defendant from any contact whatsoever with the victim until the matter can be heard at the New Jersey Superior Court level, and turned into a Final Restraining Order (FRO). Any guns in the home will also be seized and uniformed police will serve the order upon the defendant, and assist with any needed protection during the moving out process. If, despite the existence of an FRO, the abuser eventually disregards the protective order, you must not let those lapses go unpunished. It deflates your argument as a victim if you and your abusive partner eventually ignore a standing Final Restraining Order until another incident erupts. Be sure to change the passwords on your computer accounts, along with any phones and passcodes. Depending on the situation, other options include changing locks, installing security systems, and speaking with your local law enforcement to keep an eye on your location along with providing them a copy of any protective orders. Violence in a relationship can cause permanent mental and physical damage to the victim and their children. Seeking professional help from a trained counselor can be invaluable to your sense of well being and they can offer additional safety precautions and support to avoid further incidents from occurring.